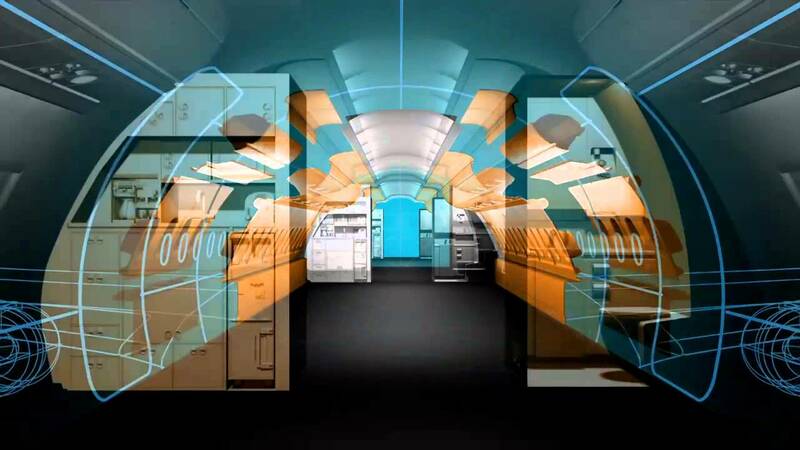 "Emergency lighting systems in aircraft cabins are not so glamorous as, for example, in-flight entertainment. However, in case of emergency they are much more important: they always have to work everywhere perfectly," Michael Dietl says about his product. "Flying actually is the safest way to travel. We contribute to making every flight a little bit safer." Emergency lighting guides the way to the exits when normal lighting systems fail. Passengers must clearly see the exit route that leads directly outside. In the event of a power failure in the cabin, the emergency lights at the cabin ceiling and on the floor come on, enabling safe exit. "Aircraft can be evacuated within 90 seconds, this is absolutely impressive. However, to ensure orderly evacuation, we develop a certified emergency lighting system for every aircraft program," says Michael Dietl. "A major component is the battery above the aircraft door. This is the energy source for the emergency lighting system and must be absolutely reliable and safe." Complex tests have to be carried out to guarantee that reliability: "We subject the batteries to extensive stress tests. They are overcharged, overheated or maltreated mechanically to select the most reliable battery technology." Research receives fresh impetus from a very familiar but unexpected source in this connection: "Ideas from household appliance technology are always interesting to us. For example, the development of vacuum cleaners also has influence on possible new battery types," Michael Dietl adds. The subject of emergency lighting systems has a longstanding tradition at Diehl Aviation. For 40 years, Diehl has dealt with aircraft lighting and on-board safety. Since flying has become increasingly popular, more and more companies have entered the aviation market. However, they do not have such an extensive background of experience. But this is no reason for Diehl Aviation to sit back and relax: "We want to stay flexible and curious to keep on providing our customers with new, technically mature and safe systems."